Iran’s army chief told the United States that a US aircraft carrierwhich left the area because of Iranian naval exercises should not return to the Gulf, the state news agency reported on Tuesday. 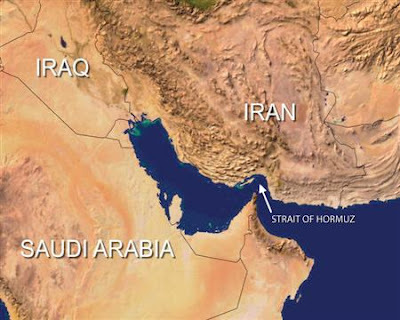 “Iran will not repeat its warning … the enemy’s carrier has been moved to the Sea of Oman because of our drill. I recommend and emphasize to the American carrier not to return to the Persian Gulf,” Ataollah Salehi told IRNA. “I advise, recommend and warn them (the Americans) over the return of this carrier to the Persian Gulf because we are not in the habit of warning more than once,” the semi-official Fars news agency quoted Salehi as saying.